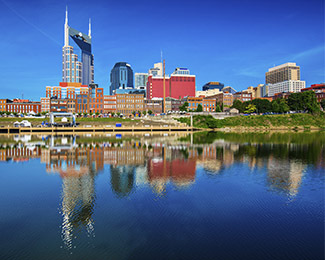 I have been given the opportunity to serve this summer in Nashville, Tennessee for two months. I am interning at World Relief Nashville by helping resettle refugees. Before coming to Nashville, the word refugee was nothing more than a word because I never really knew what it means to be a refugee. I just used the word "refugee" to describe what I was going to be doing this summer. After orientation, I learned that a refugee is someone that "flees their country and is unable to return due to a well-founded fear based on persecution for reasons of race, religion, nationality, membership in a particular social group, or political opinion." Learning this has been mind blowing to me. I had no idea that people had to leave their home and everything they know behind because they are being faced with persecution. I have been so used to living in a country where you are free to choose your religion, social and political group, and where being a certain race or nationality doesn't mean you have to flee your home or even another country. I have been so ignorant to think that these things don't happen around the world. What breaks my heart most is seeing how difficult it is for most refugees to adjust to our American culture. Most refugees do not speak English or know how to do things we never would have thought we would have had to teach someone how to do. Teaching a refugee how to do something has been one way we have been able to show God's love. Brenda Sanders (director of Go Now missions) sent me a message saying, "God is revealing Himself to the refugees... even if they don't know they need Him." This was very encouraging to read because it's not easy sharing the gospel because of language barriers. It's a constant reminder that God is the one moving in peoples' lives, not me. Katharine Rosa is a student at Texas A&M University-Corpus Christi serving in Nashville, Tennessee for two months as a Go Now summer missionary. Pray for her ministry as she continues serving refugees.